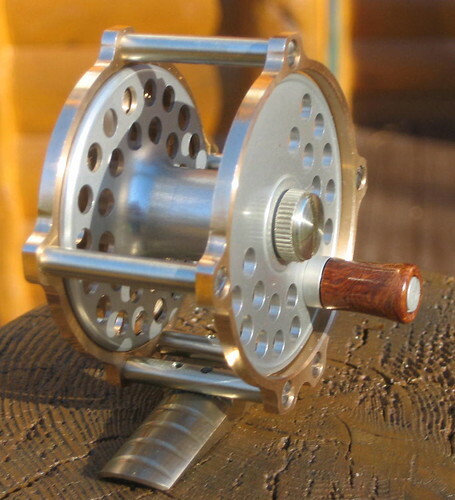 I made this reel for an acquaintance from the “Grayrock” rod builders meeting. It is really the same design as the Brass Frame Reel that I recently posted, but downsized for WF3F and 30 yards backing. It would also hold a WF4F, but no backing. 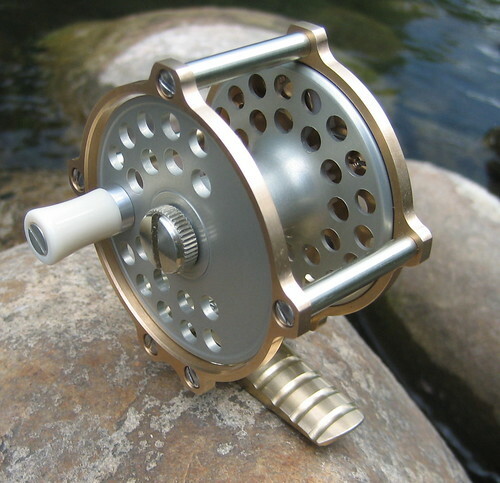 It is somewhat wide for a trout reel, and that is because I wanted to make it from bronze (vs. brass) and the largest round bar that I could buy in small quantity was 2.5 inch diameter. 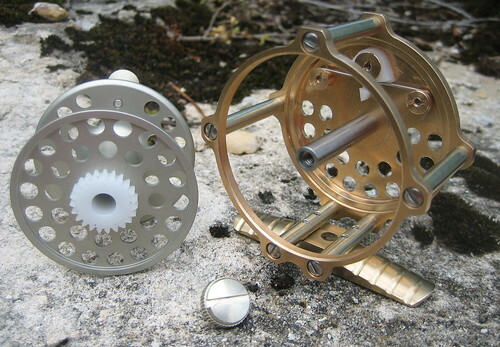 The front end ring and rear end plate are c544 phosphor bronze, which is easy to machine. The foot is c954 aluminum bronze, which is also relatively easy to machine. This alloy comes in “as cast” condition, and this has caused me to research casting technology as a possible time/material saver. I am thinking that the foot may be a good candidate for casting, but not the front end ring. Update 29 Oct 2014: Here is a second example of the design, but with a rosewood knob. This entry was posted in My Reels. Bookmark the permalink. Absolutely stunning. 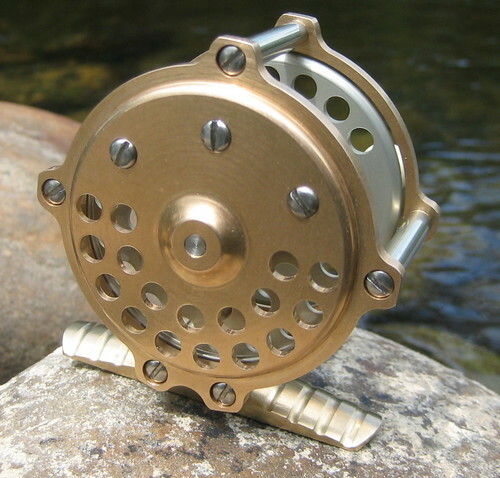 Do you sell these reels? 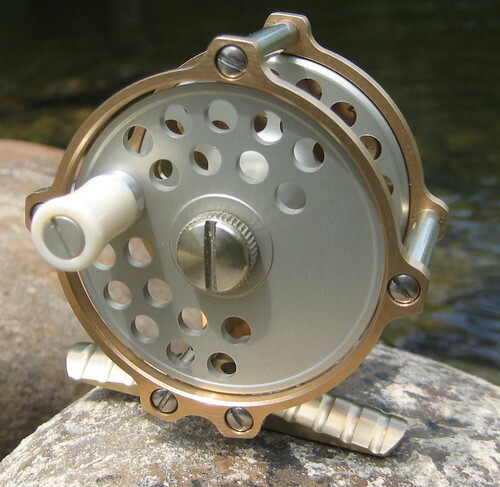 Yes, Go to the blog page “Reels for Sale”. And you can directly email me at the address on “Contact”.